Are you convinced about your marketing strategy? Have you defined your objectives, the budget you have, and what exactly are you going to do? 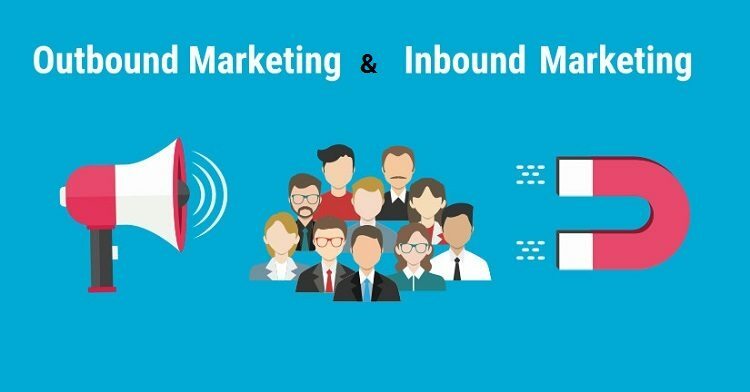 Before deciding whether to follow an inbound marketing strategy, an outbound marketing strategy, or a mix of the two, you should know the main differences between these two terms. The world of marketing likes creativity, and that includes creating or incorporating new terms every year. You can take a look at the marketing dictionary of the American Marketing Association or the Oxford Reference dictionary of marketing by Charles Doyle to learn as many terms as you want. So let’s look first at what these two terms mean, which have only recently come to be used in the context of marketing. Outbound marketing is what has traditionally been understood as “traditional marketing” or simply “marketing”. The aim of this type of marketing is to ensure that your message reaches your potential audience on an ongoing basis, whether they want it or not. Radio and television commercials, telemarketing, banner and exhibitor ads, billboards, newspaper ads, cold calling, pop-ups and pop-unders, and contextual ads are examples of outbound marketing. The idea of “outbound” comes from the fact that your company is constantly “out” advertising aimed at your audience. But recently, we have undergone a paradigm shift. In the last 10 years, we have had an oversaturation of all types of advertising and, in fact, we have increasingly developed a great ability to ignore display advertising. Studies indicate that ad click rates are now a sad 0.05% and some professionals consider paid advertising in newspaper, radio, or TV to be overrated. 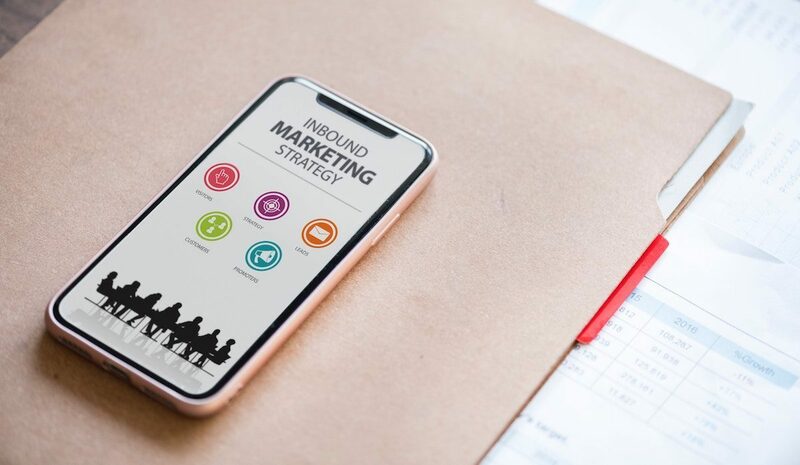 For this reason, more and more companies have opted for a type of marketing that is much more targeted and does not only provide products but also information of interest related to them or to other concerns that the customer may have. Inbound marketing is a relatively new term that Hubspot coined to contrast it with the previous one and to refer to the idea that instead of approaching your audience with advertising, you “attract” potential customers with interesting content. It’s based on applying a content marketing strategy, i.e. creating posts, computer graphics, ebooks, videos, etc., on blogs and social networks for all those who are looking for information of interest related (or not) to your products. After building trust with your readers, you get leads (their emails) and can send them more information that is of interest (newsletters, workshops, etc.) until they become your customers. And if you do your homework and make them really happy with the service and information you continue to offer them, they will end up being the best promoters of your products. Let’s take a closer look at the 7 main differences between these two types of marketing strategies. Outbound marketing is aimed at everyone–it’s outbound advertising. It interrupts and chases the customer. This is an advertisement that you receive regardless of whether you were interested in that subject. Sometimes, however, it can also be a more contextual advertising, as is the case with Adwords where only ads related to the topic being read or to previous searches are shown. 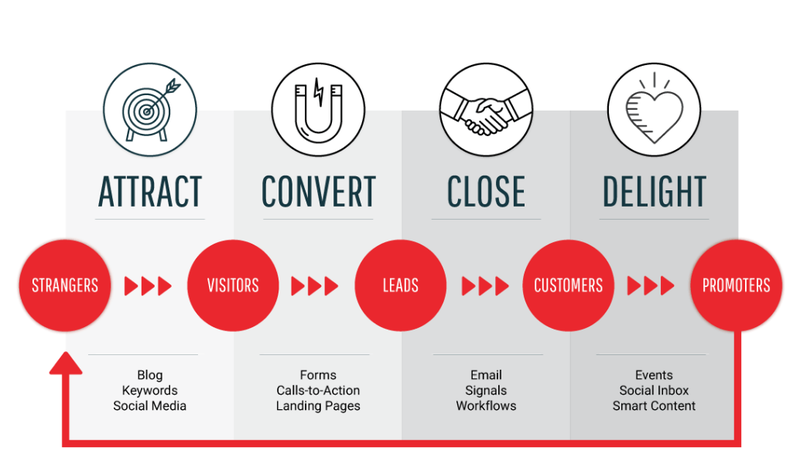 Inbound marketing is “inbound”, i.e. you make available to everyone the information that you believe will be of interest to your target audience or buyer persona. In any case, it has to be your audience that does the search to find you and get to that content. Outbound marketing uses traditional media for advertising: advertisements on brochures, in the press, on billboards or television, and mass mailings (physical or digital). 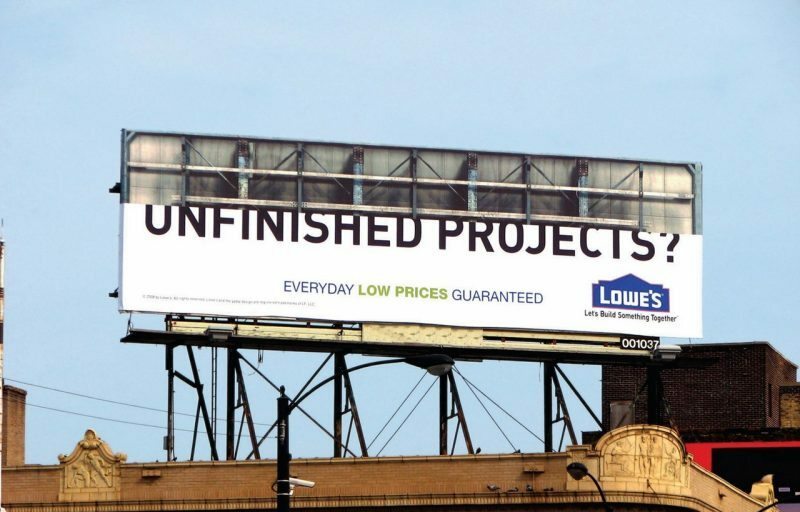 A billboard in the right place with the right message can have a great impact. You’ll find the natural habitat of inbound marketing in blogs, social media, newsletters you subscribe to, Google searches and/or influencer marketing. The content of outbound marketing is directly related to what the product you advertise offers you: its features, offers, advantages… so that you can easily end up buying that product. They are usually very direct and short messages. The content of inbound marketing is much more subtle, not product focused, more focused on the needs of users and potential customers. It is content intended for a person to click on when they are searching for information that interests or concerns them. For example, how do I improve the marketing of my blog? how do I get more visits to my website?, and so on. In outbound marketing, the message you convey is key to ensuring that your potential customer is willing to buy your product just by looking at it. It has to be a sufficiently complete and attractive message for you to be enthusiastic and clear that you need that product. It’s a totally commercial approach that seeks to sell. Inbound marketing seeks to inform and add value. As I have already mentioned, many times it’s content that doesn’t even mention the product you sell. It’s intended to be content aimed at resolving consumer concerns and problems. You provide value to build trust. Outbound marketing, except perhaps in the case of Adwords which may be more contextual, reaches the general public indiscriminately. It can come at any time. It can even create needs that the client did not even know existed! Inbound marketing usually only reaches an audience interested in information on a certain topic (that is supposed to be related to your product, of course). The scope may be much more limited but it is surely a much more interested target audience. The idea, with an inbound marketing strategy is that even if you reach a smaller group, you will get more impact. Outbound marketing has the budget that sets the world of advertising. I mean, it’s clear that if you want to make ads in the Super Bowl you can spend millions of dollars. But if you want to send a commercial message to the inhabitants of a neighborhood or want to make an announcement on a local radio station, the cost will be much lower. The scope of your advertising will be directly related to the budget you can afford with it. With an inbound marketing strategy, with a very little budget, you can achieve much more impact. Obviously, creating content has a cost and the more budget you have, the more content you can create. But I’d like to highlight here the importance of the creative component. 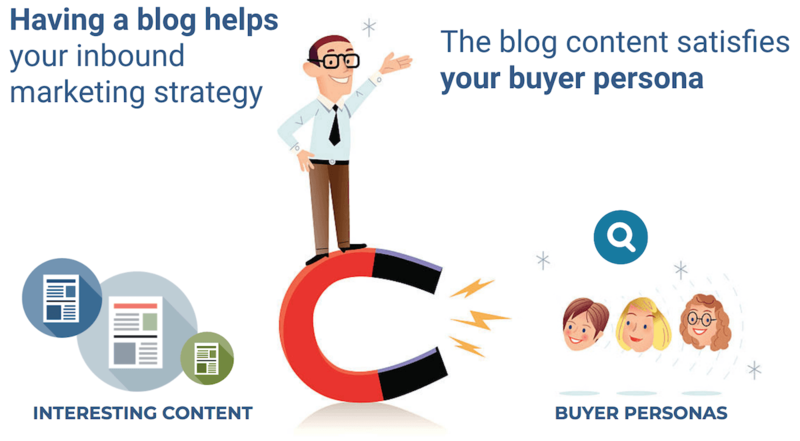 Many bloggers have managed to reach a large audience thanks to the value of the content they regularly publish and have managed to become viral without the need for large budgets. You’ll find articles that say that with outbound marketing it is much more difficult to measure results and that with inbound marketing it is much easier. And to a large extent, this is true. It’s particularly difficult to know to what extent we have achieved an increase in sales thanks to advertising in the press or a television advertisement. You’ll also find examples of companies that have achieved spectacular growth with very little investment in advertising (Inditex, for example). In outbound marketing, only in the case of Adwords is it easier to find detailed information on the conversion achieved with each ad. With inbound marketing, on the other hand, you can measure the traffic you get and the conversion you have on your website. If you are progressively increasing your traffic and all your visitors buy your products, it is clear that you are blowing it up. But not everything is so easy: if things aren’t working out so well, it’s not so easy to identify where the problem lies in the fit between your product and the market. Are you attracting the right audience but your product is not interesting enough or are you simply not attracting the right audience? Today we find ourselves with a big change in the medium used to reach our audience and in the message. It’s no longer a question of giving a commercial speech, but rather of adding value to the customer so that they can trust us. Make our content attractive. In fact, it’s now Google and social networks that are increasingly deciding what content you read and what you don’t read. And this is why generating content to achieve great SEO and social media promotion become critical elements in any marketing strategy.